Half of the energy produced around the world is used to operate pumps. 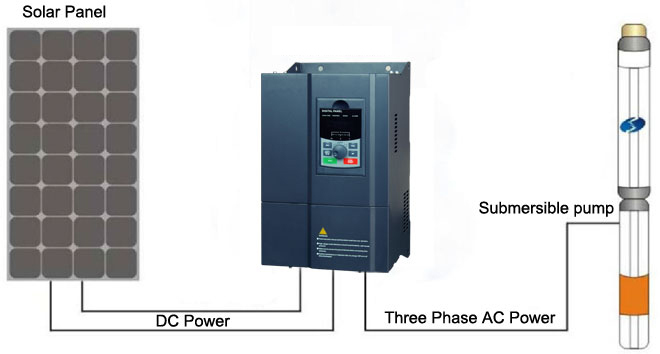 The direct current generated by solar modules is input to the inverter and then converted into alternating current to drive various pumps directly, Compared to diesel generator pumps, Solar pump drive is environmentally friendly, with a long lifetime and low maintenance costs. It is independent from the grid and produces no pollution or noise. Typical applications are irrigation, community water supply, fish farming and agriculture. 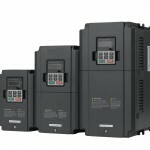 The drive has many solar-specific and pump control functions, such as built-in maximum power point tracking and dry run detection, as well as sensorless flow calculation. The maximum power point tracking (MPPT) ensures you to get the best output power possible from your solar panel and it maximizes the performance of your pump along the day while the automatic start and stop with solar radiation can save money and fuel during daylight hours.